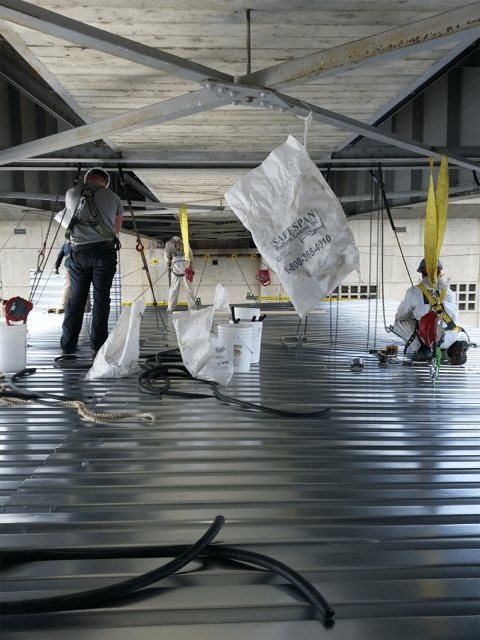 TMI Coatings’ employees completed installation of a temporary suspended platform for access to sandblast and paint the underside of a bridge. 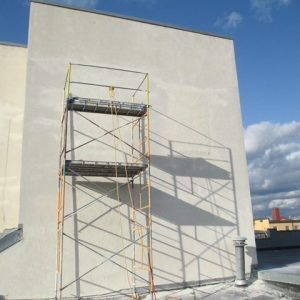 When the set-up was complete, the sides were enclosed with tarps to ensure all dust was contained and the lead based paint could be safely removed from the site without polluting the water below. The platform allowed our crew to safely walk and work under the bridge. The job was completed for the Army Corps of Engineers under the strictest of quality and environmental conditions. 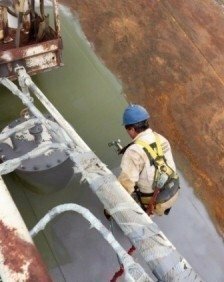 TMI Coatings applying zinc to sandblasted surface on a large tank, 170' diameter in the central U.S.